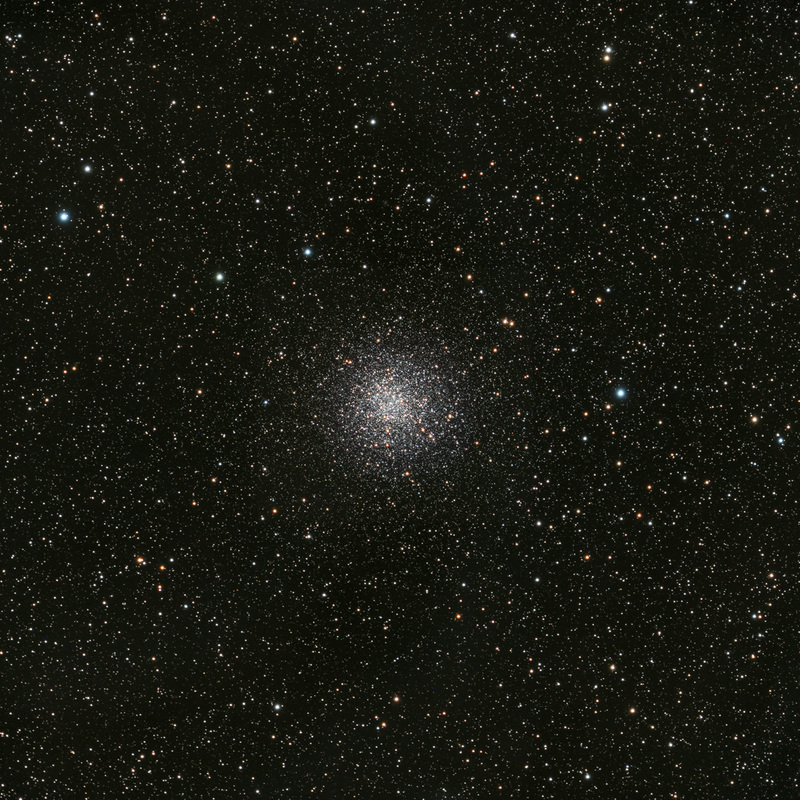 NGC 3201 is a loosely concentrated globular cluster about 16,000 light-years from Earth in the direction of the constellation Vela. Lying very close to the galactic plane, this star cluster is positioned in a rich star field interspersed with faint dust lanes. Careful examination of the image reveals the most prominent of these lanes radiating outward from the cluster in a 4:30 o’clock direction toward the bottom right corner of the frame. The intervening dust in our line of sight to this cluster results in a distinct reddening of many of the field stars.